Identify the purpose of the GAO’s Green Book. Distinguish between components of internal control. As I am traveling and teaching the 2018 Yellow Book, I have noticed that quite a few auditors are not familiar with the Green Book which was published by the GAO in 2014. This is not good because the Green Book is by far the biggest change to the Yellow Book. The GAO’s Green Book lays out an ideal control structure – a nirvana for internal controls, if you will. And I have never encountered any entity that has achieved this ideal. Yes, I’ve seen some entities achieve control nirvana in some part or aspect of their business. But I have never seen an entire entity under complete control, and I doubt I ever will. I think the lack of perfect internal controls in an organization is a reasonable state of affairs because controls cost money to implement. However, what I am discussing in this chapter is not the auditee’s responsibility regarding internal controls (which is the focus of the Green Book), but the auditor’s responsibility regarding internal controls. You and I know that the entity you audit has not achieved control nirvana. But instead of just knowing that in your head, the Yellow Book is asking you to document your assessment of the auditee’s internal control status in grand and glorious detail. Here are some quotes from one of the performance audit chapters in the 2018 Yellow Book that give performance auditors pause. I’ll address financial auditors conducting the Single Audit at the end of the chapter. I added bolding to draw your eye to some new terms that I’d like you to notice. 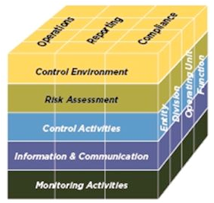 the five components of internal control (control environment, risk assessment, control activities, information and communication, and monitoring) and the integration of the components. 8.42 If internal control is significant to the audit objectives, auditors determine which of the five components of internal control and underlying principles are significant to the audit objectives, as all components of internal control are generally relevant, but not all components may be significant to the audit objectives. This determination can also identify whether specific controls are significant to the audit objectives. Determining which internal control components and principles and/or specific controls are significant to the audit objectives is a matter of professional judgment. 8.47 Approaches for obtaining an understanding of internal control may vary and may include consideration of entity-level controls, transaction- level controls, or both. However, even when assessing only transaction- level controls, it may be beneficial to gain an understanding of entity-level controls that may affect transaction-level controls by obtaining a broad understanding of the five components of internal control at the entity level. This involves considering the relationships between the components, which work together in an integrated manner in an effective internal control system, and the principles of internal control that support each component. In addition to obtaining a broad understanding of internal control at the entity level, auditors may also obtain an understanding of internal control at the transaction level for the specific programs and processes under audit. The terms “three categories of entity objectives” appear at the top of the cube and the terms “five components of internal control” appear on the face of the cube. 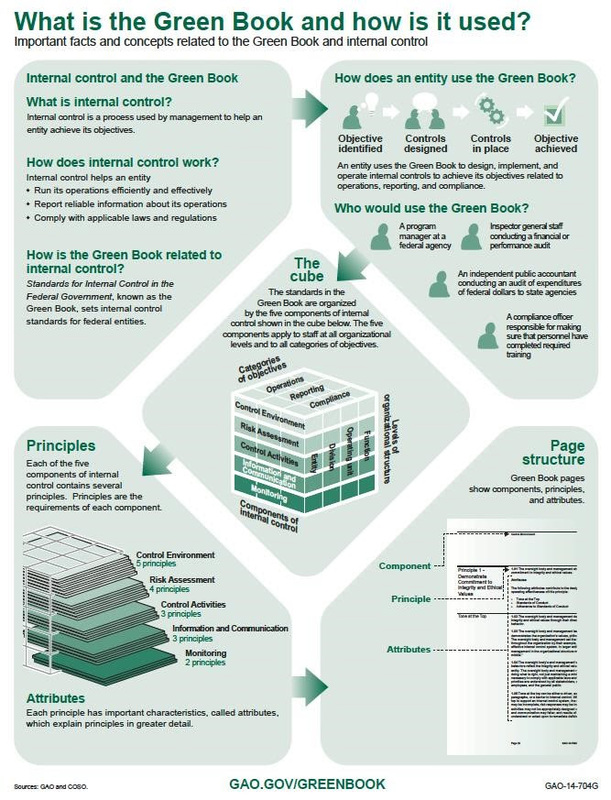 The seventeen “principles of internal control that support each component” are presented in a stack on the bottom left side of the infographic. Yes, the cube is cute, and the stack is pretty – but so what? What does all this new language mean to performance auditors, practically? What the cube and the stack are illustrating is the most up-to-date structure for approaching internal controls. This means that performance auditors are going to have to change the way they document internal controls! The GAO is working on a tool right now to help you with this task, but it won’t be published until the spring of 2019. So, if you want to implement these changes in your internal control documentation right now, you will need to create a tool on your own. HUD has developed a tool that might get your creative juices flowing. Google “HUD IC Questionnaire 17 principles” to find it. How are COSO and the Green Book Related? But before we get too far along, let’s look at how the Green Book is related to the COSO (Committee of Sponsoring Organizations of the Treadway Commission) model and what our profession is trying to accomplish with both. As we will see, the Government Accountability Office (GAO) bases the Green Book on the COSO model. The GAO Pushed for Better Controls in 1983. In addition to auditing federal agencies and reporting the results back to Congress, the GAO also advises executive agencies on how to make government more efficient and effective. The Federal Managers Financial Integrity Act of 1982 requires the GAO to establish standards for internal controls. The GAO made its first efforts toward creating a standard for internal controls in 1983. In the past decade, numerous situations came to light that dramatically demonstrated the need for controls as the Government experienced a rash of illegal, unauthorized, and questionable acts which were characterized as fraud, waste, and abuse. It is generally recognized that good internal controls would have made the commission of such wrongful acts more difficult. Consequently, increased attention is being directed toward strengthening internal controls to help restore confidence in Government and to improve its operations. I wonder what the Comptroller General would think of the hijinks in the government realm in since that initial Green Book was issued 30 years ago! Six years before the Financial Managers Financial Integrity Act, corporate fraud was getting the attention of Congress. In 1977, Congress enacted the Foreign Corrupt Practices Act (FCPA) as a result of 400 US corporations admitting that they had made questionable or illegal payments to foreign officials as part of conducting business in other countries. In response, the Treadway Commission, a private-sector initiative, was formed in 1985 to inspect, analyze, and make recommendations on fraudulent corporate financial reporting. As a result of the Treadway Commission’s initial report, the Committee of Sponsoring Organizations (COSO) was formed. COSO retained Coopers & Lybrand, a major CPA firm, to study the issues and create a report on controls. This report was titled Internal Control – Integrated Framework and was issued in 1992. And for the first time, we were introduced to the COSO cube that many of us use in our work today. Over time, the COSO model, as it came to be called, was integrated into various auditing standards including the American Institute of CPAs auditing standards, the GAO’s Generally Accepted Government Auditing Standards (the aforementioned Yellow Book), and the Institute of Internal Auditor’s professional literature. SOX Renewed Interest in the COSO Model in 2002. After a spate of corporate financial scandals (Enron, WorldCom, etc.) at the turn of the century, Congress passed the Sarbanes-Oxley Act (SOX) in 2002. The Sarbanes-Oxley Act requires that publicly traded companies in the United States certify that their internal controls over financial reporting are effective. Most corporations used the COSO model as the framework to guide this assessment. These changes are minor compared to what COSO did to the text of the report. The original 1992 COSO report was presented in narrative form using lengthy, complex paragraphs. The 2013 version breaks each of the five elements on the face of the cube into 17 principles, and then these principles are further broken into 81 points of focus. Breaking down the narrative into smaller, more digestible concepts makes the document much easier to scan and, thus, to use.The 2013 version of the COSO model is available online for $99-270, depending on whether you want a piece of the document or the entire set of literature. The COSO Model Has Three Main Dimensions. The COSO model and the Green Book both represent controls using the three dimensions of a cube. The top of the cube describes WHY you need controls. The side of the cube describes WHAT you will control, and the face of the cube tells you HOW to implement controls. Let’s talk first about the dimension of the cube that is the most difficult to grasp – the face of the cube which lists the five components of internal control. We will discuss the side and the top next. I need to admit, right up front, that I have never ‘clicked’ with face of the cube. You know how some business models just make you say to yourself, “Yes, of course, that is how it is!” For instance, the “Plan, do, check, act!” model. Those four steps – plan, do, check, act – are intuitive and sensible. The five components of internal control? Not so much. First, the organization needs to ask what risks it is facing. Once they have done this risk assessment, they can apply control activities to keep those risks from occurring. Then valid reports need to be generated that provide information and communicate with the stakeholders of the organization who need to know how well the controls are working. The organization should not just assume, but monitor to ensure, that the control activities and reports they put in place to tamp down risk are working. And all of this effort needs to take place within an encouraging, nurturing environment that appreciates and supports controls. Does it still sound like Greek? Let’s dig a tiny bit deeper. Let’s begin with an overview of the five components starting where the cube starts, with the control environment. The control environment component directly addresses the attitudes of the leaders of an organization toward controls. You will also hear this component described as ‘tone at the top.’ If the leaders of an organization are uninterested in excellence in operations, strict compliance with laws and regulations, and accurate and transparent reporting, efforts toward those objectives by the employees will fail. I have seen a wide variety of control environments, as I am sure you have. Some control environments are strong and reassuring. Others vary from strong to weak depending on who is in the leadership position, and others are crazy disasters that eventually implode. And no matter the size of your entity, the leadership’s attitude permeates the whole organization. One of my jumbo clients sells groceries in 28 countries. Since I am also a customer of this grocery retailer, I was very pleased to hear an executive in charge of food safety initiatives talk openly and emotionally about his responsibilities to keep customers safe. He began his presentation by sharing the pictures of children in his briefcase that he looks at every day. These were not picture of his children, but children who had died of food borne illness from all food sellers – groceries and restaurants – in the United States. Then he began to share statistics about how vulnerable children are to food borne illnesses. It was clear from talking to his grocery managers, that his serious attitude toward a serious risk had also affected their attitudes and, therefore, controls. If his powerful message permeated such a large organization, imagine how much more the viewpoint of a leader in a small organization affects controls. Smaller organizations are particularly vulnerable to the attitudes of the leadership. Regrettably, I agreed to be the treasurer for a small organization, the local chapter of the National Speaker’s Association and served for three years. We had about thirty members and six of them were on the board. The tone at the top dramatically altered the control environment every time we elected a new president. Most of the members of the local chapter were motivational speakers, and some of them thought that if you just believed something with all your heart and mind, you could wish anything into existence. So, when I informed them at our first board meeting that I had carefully looked over the books and that we were close to bankruptcy, the response from the president was, “Well, if we just think positive thoughts, everything will work out.” A few meetings later, my less-than-positive prognosis came true. We were broke and couldn’t pay the hotel after our monthly Saturday meeting. The chapter’s president conveniently disappeared after I informed her of this fact. Luckily, one of our successful and moneyed members named Jim stepped in and paid the bill. Our new savior, Jim, was immediately appointed president. Jim was a six-and-a-half-foot tall ex-Marine who knew how to lead. At our first board meeting, he told the group that we were going to set a strict budget, and that we were going to talk about it at every meeting. All expenditures had to be approved by me before they were incurred. I silently clapped and cheered in my little accounting heart! Everyone on the board was paying attention to my financial presentation at meetings (or at least they looked like they were paying attention), and I felt great about my role as treasurer. By the end of Jim’s term, we had built our bank account balance up to a healthy $14,000. But, when Jim’s term was up, the group elected sweet John to be our leader. John preferred to spend the board meeting hugging and vision casting rather than worrying about tacky old money. At our first meeting under John’s leadership, we all discussed relaxation techniques – which just happened to be the focus of John’s signature speech. The group again began to ignore the budget, and by the end of John’s term, we were again near bankruptcy. I realized that I would only be successful as a treasurer with the chapter if I had the strong support of the president. It didn’t matter how wonderful and clear and compelling my budget presentations were (and I tried everything I could to wake them up to the reality of the situation – emoticons, colors, graphics, dancing, singing). I was ignored. Only when Jim created an environment of compliance and fiscal restraint did the controls over our finances work. My situation as a powerless treasurer plays out on larger, more important scales all the time. Do you remember the financial executive at Enron, Sherron Watkins, who wrote a memo to the chief executive about Enron’s fraudulent financial statements? The leadership didn’t want to hear it and published the erroneous financial results for public consumption. No matter how well she did her job, without the support of the organization’s leadership, her efforts were thwarted. The second component – risk assessment – is all about making sure we put our resources toward things that matter. We don’t need controls over things we aren’t worried about. Controls are created to mitigate or reduce risk. Here is a personal example: My family has two cars. One represents more risk to us than the other because it is worth more money. Let me begin by saying that my husband and I only buy used cars and pay cash for them. I was raised in new or nearly new cars. My father bought a new car every few years and still does. But now that I am paying the bills, I appreciate my husband’s view that new cars waste money. My husband has been driving the same Toyota Sienna minivan (that we, of course, bought used) for the past 10 years or so. It has over 200,000 miles on it and doesn’t show any sign of stopping. It looks like a hideous, rolling pile of retro junk. It is worth about $1000 per the Kelly Blue Book. What do you care about in your organization? Is it that your assets are safeguarded? Is it that your customers and employees are safe? Maybe you care the most about making a difference to the disadvantaged? While it would be nice to have the time and the resources to worry and control everything, no individual or organization in the history of the world has been able to pull that off. What a risk assessment does is lay out all of the possible things you might care about on the table (or in an Excel table!). It gives you a way of ranking them and deciding where you will to focus your efforts. Controls cost time and money, and you want to be intentional about applying them. I have seen a wide variety of risk assessment models and risk assessment documentation. You can really go nuts refining the risk assessment and contemplating every eventuality, but at a very basic level, all you have to do is decide if you care. Simply ask yourself what could go wrong. And if you don’t care about the resulting answer, you don’t need any controls over it. So, if I ask myself if I will care if my Lexus suffers hail damage, I would say that I care – the mini-van, not so much. The third component – control activities – is what most auditors think of when they think of applying controls. Control activities include such things as segregation of critical duties, transaction approvals, timely reviews of transactions, and documentation. You Aren’t in This Alone! Information and communication, the fourth component, acknowledges that you aren’t in this all by yourself. Various stakeholders need to keep informed about what is going on. Any endeavor will generate critical information and this information will allow stakeholders to evaluate the success of the organization’s efforts. The information and communication component asks the manager who they need to communicate with, what they need to share, and whether the data the manager is sharing is valid. Just performing a risk assessment, applying control activities, and communicating with stakeholders is not enough. Unfortunately, we aren’t done. We need the final component – monitoring. We can’t just set things up and hope that they run on their own forever and ever. Over time, controls slip away and atrophy. Somehow, we need to monitor to make sure that controls are working as intended and make corrections when they aren’t working as intended. And, let’s be honest here, things never work exactly as we intend. What this means is, that if you are following the COSO model, someone will be watching! It is best if this someone can be honest about what they see without suffering any consequences, and they might watch continually or just occasionally. We auditors apply the monitoring component and the information and communication component to our audit quality control system by creating an annual monitoring report each year. Let’s recap. First you have to decide what you care about and what risks you are unwilling to tolerate. You then apply controls activities to the risks you aren’t interested in experiencing. You need to share the data your activities generate (information and communication) with stakeholders and set up a monitoring function to make sure that everything you have put in place to mitigate the risks is operating as intended. All of this needs to take place within an environment that values and supports controls. The Top and Side of the Cube: A Little Whine with That Cheese? In order to make the top and the side of the cube come alive here, I am going to talk about my tiny little operation. And I am probably going to come off as a little whiney in places. You see, I suffered an embarrassing failure in my business that I am still smarting over. Have you ever seen that poster on Despair, Inc.’s website of a shipwreck? Underneath it is says, “It could be that the purpose of your life is only to serve as a warning to others.” Sometimes I feel like that. See? Whiney. Since I like to write, I decided that I should start writing self-study books and selling them through other continuing professional education providers and on my own website. If anyone had told me how involved this idea was going to be before I started, I would have probably stopped right there. But luckily, I was innocent, unaware, and hopeful. I knew before I started that writing a book is pretty involved. Writing the text is just the beginning; the text has to be edited, revised, and formatted. Lots of processes for that. My idea to sell to other vendors involved maintaining relationships with those vendors, creating and managing contracts, and lots and lots of communication. Process, process, process. And since I wanted to sell the books on my website, I needed a website that would allow folks to buy things – so I needed an online store. Process. Since I wanted students to be able to buy and take an online quiz and get credit for the courses online, I had to work with programmers for years and years and years to create the quiz and automatic grading software. Process. Do I need to go on? Because I can . . . I so can. But I’ll stop there and point out that everything I have described so far would be categorized as ‘operating’ on the top of the cube. The top of the cube represents management’s objectives. In less fancy terms, it answers the question, “Why bother having controls?” Yes, as we said in an earlier chapter, controls are there to mitigate risk. But we wouldn’t even have a risk unless we decided to do something, to act in the world. I wouldn’t need controls and processes over my self-studies if I hadn’t decided to write and sell self-study books. The management objectives at the top of the cube help us categorize why we do things. The top of the cube has three management objectives: operations, reporting, and compliance. If management is concerned with operations, they are concerned that they deliver their goods and services while efficiently using their entity’s resources. If management is concerned about reporting, they are focused on making sure that reports generated for stakeholders are reliable. For instance, the entity needs to ensure that the financial statements it publishes and sends into regulators are accurate. And if the entity is concerned about compliance, they are making sure that they stay in line with laws and regulations. I was mistaken that my business was mostly about writing (process or operations). It ended up being mostly about compliance. I recognized that no one would read my books for grins. I mean, who wants to read a 300-page book entitled, “The Yellow Book Interpreted” for fun and information only? I knew that I had to offer my books for continuing professional education credit or they wouldn’t sell at all. To qualify for continuing professional education credits for CPAs, I had to register with NASBA (the National Association of State Boards of Public Accountancy). Years ago, the thought of working with NASBA was slightly intimidating but not prohibitively intimidating. But it seems that I chose a very bad moment to enter the market. As I was authoring my first books, NASBA was busy tightening up its requirements. This meant that I had to add all sorts of components to my books, including quiz questions that are hard to answer. By hard to answer, I mean I have to write the questions in such a way that the answer isn’t obvious – sort of like the obscure questions on the CPA exam. Oh joy! I never imagined myself as a question writer, but I embraced my new task and sent my first book into NASBA for testing. I passed and started selling my books. All was well until my testing software started failing here and there, and I decided to create a new software program. The next time NASBA ran their test using my new software, they were able to find a flaw in the software that allowed students to jimmy the system and earn credit without taking the quiz. NASBA yanked my license. Huge, embarrassing ouch! All the clients I had cultivated dropped me like a hot potato. I had to start the lengthy process of fixing the bugs in the software and applying for the license again. NASBA put the review of my courses on the back burner, and it took an entire year for them to review my courses and reinstate my license. Compliance had eaten my lunch, and my dinner, and my midnight snack. I won’t go into details about the remaining management objective, reporting, but as you can imagine, I must report to several regulatory bodies every year so that they can ensure I am staying in compliance. One regulatory body requires that I write out every course I offer on a teeny-tiny spreadsheet by hand! Electronic submissions are not allowed. Every course and every student must be tracked and maintained in reports that fit each regulator’s demands. Another process and another set of controls. All organizations take on the same three areas – operations, compliance, and reporting when they decide to act. If I told you that you needed to develop controls over the entire planet and keep everyone in line, you wouldn’t be too happy. How about if I asked you to control the United States? Still too big a task? How about Texas? Yes, too big. How about Austin, Texas? No. How about the state capital complex in Austin, Texas? Getting closer. What if I asked you to control the north door of the state capital to ensure that all people entering the state capitol building are screened by the Capitol Police? Now, I can work on controls for that! But anything larger, and I get overwhelmed. And being overwhelmed probably means that I am going to approach the subject in a disorganized way. And being disorganized usually leads to leaving something important undone. To me, the cube doesn’t go far enough in breaking the subject down into manageable, controllable pieces. I imagine that the function “curriculum development and divination” involves a process and each step of the process should be controlled. I advise you to break the subject matter into small enough pieces so that it is obvious what the controls should be.For instance, the process of revising and re-publishing my books is a discreet subject matter. In order to tackle it, I had to break the process into a dozen major steps. And then for a good number of those steps, I had to layer on controls. The result is a two-page checklist with over 20 items that involves five people to complete! If I had imagined creating controls at a higher level – say for my whole self-study business – I would have gotten hopelessly lost. And my self-study business is just one of five ways I make a living. If I had just started the layering on of controls at that high level, the result would have definitely ended up as a hodge-podge of controls and processes that didn’t get the job done. 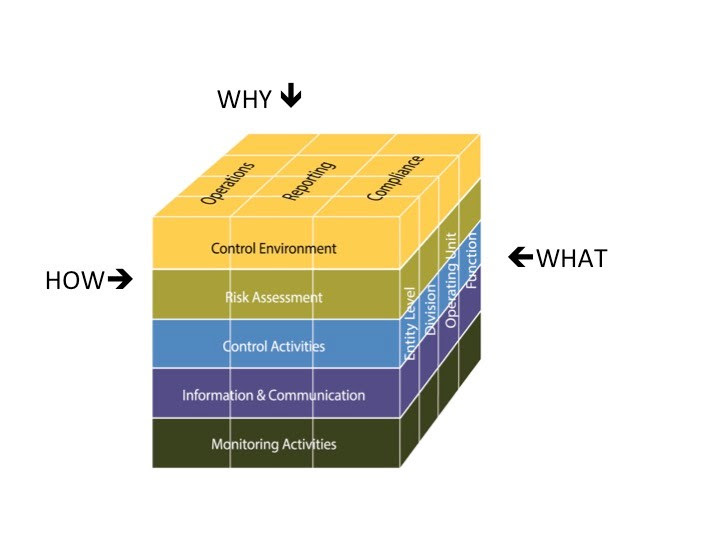 So, to summarize: the top of the cube tells us whywe develop controls and the right-hand side helps us decide exactly what we are going to control. Management should define objectives clearly to enable the identification of risks and define risks tolerances. Management should identify, analyze and respond to risks related to achieving the defined objectives. Management should consider the potential for fraud when identify, analyzing, and responding to risks. What Does All This Mean for the Auditor? The purpose of the Green Book is to encourage governments to implement strong, well thought out controls. The purpose of the Yellow Book is to encourage auditors to perform convincing and thorough audits. By integrating the Green Book into the Yellow Book, the GAO is requiring performance auditors to evaluate controls using all of the dimensions of the cube plus the 17 principles. This means that auditor’s internal control documentation must change to include the 17 principles. Theoretically, as auditors use the new model to evaluate governments, the governments will be encouraged adopt the model in their own organization and thus strengthen their controls. Hopefully now, after we have covered those terms, those paragraphs hold more meaning. But it also may scare you a little bit because it is new and it is detailed! As you can tell, documenting internal controls is going to be a lot of work! But before you start looking for another job, there is something you can do to minimize the documentation. You can refine your objective early in the audit process! The Yellow Book says auditors are only responsible for documenting internal controls that are relevant to the audit objective. Thank you, GAO! So, the more specific you are about your audit objectives, the less controls you will end up having to document! 8.49 If internal control is determined to be significant to the audit objectives, auditors should assess and document their assessment of the design, implementation, and/or operating effectiveness of such internal control to the extent necessary to address the audit objectives. If you dig into controls AFTER you have performed your inherent risk assessment and refined your audit objectives, you will conserve precious audit resources and, maybe, be able to tolerate your job for another year or two. Currently, the financial audit chapter of the Yellow Book does not emphasize the Green Book. This is because the AICPA has not adopted the 2013 version of the COSO model with the 17 principles. The AICPA is still working with the original version of the COSO model without the principles. So, if you are performing a straight up financial audit, you don’t have to worry about documenting the 17 principles. (a) establish and maintain effective internal control over the Federal award that provides reasonable assurance that the non-Federal entity is managing the Federal Award in compliance with federal statutes, regulations, and the terms and conditions of the federal award. These internal controls should be in compliance with guidance in “Standards for Internal Control in the Federal Government” issued by the Comptroller General of the United States and the “Internal Control Integrated Framework” issued by the Committee of Sponsoring Organizations of the Treadway Commission (COSO). And check out this requirement directed at the auditor regarding internal controls over compliance. I added bolding to emphasize the reference to the Green Book. 200.514 (c) Internal control. (1) The compliance supplement provides guidance on internal controls over Federal programs based upon the guidance in Standards for Internal Control in the Federal Government issued by the Comptroller General of the United States and the Internal Control—Integrated Framework, issued by the Committee of Sponsoring Organizations of the Treadway Commission (COSO). (2) In addition to the requirements of GAGAS, the auditor must perform procedures to obtain an understanding of internal control over Federal programs sufficient to plan the audit to support a low assessed level of control risk of noncompliance for major programs. This lands auditors working on the compliance portion of the Single Audit in the same position as performance auditors; they will have to evaluate and document the auditee’s application of all 17 principles. Fun-ness! Has the GAO gone too far with audit quality control? 5.02 An audit organization conducting engagements in accordance with GAGAS must establish and maintain a system of quality control that is designed to provide the audit organization with reasonable assurance that the organization and its personnel comply with professional standards and applicable legal and regulatory requirements. 5.60 Each audit organization conducting engagements in accordance with GAGAS must obtain an external peer review conducted by reviewers independent of the audit organization being reviewed. The peer review should be sufficient in scope to provide a reasonable basis for determining whether, for the period under review, (1) the reviewed audit organization’s system of quality control was suitably designed and (2) the organization is complying with its quality control system so that it has reasonable assurance that it is performing and reporting in conformity with professional standards and applicable legal and regulatory requirements in all material respects. Again, the GAO is mimicking the AICPA with this standard. And if you are currently part of the AICPA’s peer review program, none of the quality control or peer review standards will surprise or annoy you. But, if you are an internal auditor, you are not going to be happy because this standard far exceeds the IIA’s quality control and peer review standards! For instance, the IIA requires a peer review every five years, not every three years as required by the Yellow Book. If you are a one-man audit shop, how do you make sure your audits are up to snuff? What does your quality control system look like? I have heard a wide variety of answers. One guy said that he put his working papers away in a box and then gave them the once over using a checklist six months later. Another one-man shop said that he had an agreement with another auditor to review each other’s working papers every year or so. Another guy hired a reviewer once a year. Which of these practitioners is right? All of them are right. Who judges whether your procedure is adequate or not? Your peer reviewer does. If I conducted a peer review of the first guy – the guy who looks at his own stuff six months later – I would not be happy. But that is me. And the Yellow Book doesn’t say that what he is doing is wrong or that I am right. One of my clients is a huge audit shop with 200+ auditors. On each engagement, the in-charge conducts a review, as does another supervisor. The audit manager reviews the working papers and sometimes the audit director gets involved. The shop also has a two- or three-person team called the “quality assurance team” that is responsible for reviewing every set of working papers in detail before the report is issued. Whoa! That is a lot of review. This huge audit shop receives a peer review from a similarly large audit shop every three years. Notice that this is a review by a peer: someone like you, in a similar situation as you. A one-man shop would not ask a huge audit shop to review their quality control system. Instead, he would ask a peer, another one-man shop, to conduct the review. If the peer reviewing the one-man shop’s system also puts his stuff in the closet and looks at it in six months, the one-man shop is golden! 5.03 An audit organization’s system of quality control encompasses the organization’s leadership, emphasis on performing high-quality work, and policies and procedures designed to provide reasonable assurance of complying with professional standards and applicable legal and regulatory requirements. The nature, extent, and formality of an audit organization’s quality control system will vary based on the audit organization’s circumstances, such as size, number of offices and geographic dispersion, knowledge and experience of its personnel, nature and complexity of its engagement work, and cost-benefit considerations. While the quality control system must be documented, the last sentence of the above paragraph does allow a little flexibility regarding the form and content of the documentation depending on the audit organization’s circumstances. Now that you know that the GAO allows some flexibility here, let’s look at the ideal they set forth in this standard. First let’s talk about the requirements for a quality control system and then we will talk about the revised standards for peer review. The quality control standards entail six specific components. Where did the GAO get these six components? You guessed it! The AICPA. If you are responsible for the quality control system for your team, or if you are a peer reviewer, I recommend that you go to the AICPA standards instead of solely relying on what the GAO says in this section. Sometimes the GAO, in summarizing the AICPA literature, leaves a few significant details out. Internal auditors, I’m talking to you, too. The AICPA renames the requirements periodically, but as of the fall of 2018, they are entitled “Establishing and Maintaining a System of Quality Control for a CPA Firm’s Accounting and Auditing Practice” and are available online for free. This component of quality control asks that you are clear who is responsible for audit quality and what their responsibilities are. The audit organization needs to have policies and procedures in place to make sure that the team maintains its integrity and professionalism all year long. 5.09 At least annually, the audit organization should obtain written affirmation of compliance with its policies and procedures on independence from all of its personnel required to be independent. The audit organization needs to make sure that it can comply with standards and has the capacity to do the work before it accepts an engagement. Both of these components address your staff’s competence and responsibilities. The HR element of the quality control system requires audit teams to have processes for recruiting, developing, and evaluating team members. identifying matters for consultation or consideration by engagement team members with appropriate levels of skill and proficiency in auditing, specialists, or both during the engagement. the objectives of the engagement procedures have been achieved. The definition of a supervisor and a reviewer were very helpful to me when I was hired to edit audit reports and review working papers for a federal inspector general. The inspector general wanted me to sign off as a supervisor because the Yellow Book documentation standards require supervisory review of audit documentation before the report is issued. But since I did not get to choose who was on the assignment, monitor the project, or shape the results, I did not agree that I was a supervisor. My work occurred on the tail-end of the engagement to make sure that the audit met standards. Instead of agreeing in my engagement letter to fulfill the role of a supervisor, I listed all of the responsibilities under the above description for a reviewer and referred to myself as a reviewer. Thankfully, the inspector general agreed that the description of a reviewer’s role better suited my responsibilities. Through monitoring procedures, the audit organization makes sure that all five of the previous elements of the quality control system are in place and working. Have things gone a little too far? By adding monitoring to our internal processes, it feels like we may have gone too far. We are reviewing ourselves repeatedly. I joke with new auditors that the working papers are like zombies! They can rise from the grave any time – up to three years after you have put them to rest. How did we get here? I am going to blame it on the COSO model of internal controls. The COSO model (which we will discuss in detail in later chapters) says that we don’t just trust that the controls we designed are working, but that we verify that the controls are working by conducting monitoring procedures. If we are going to require the auditee to monitor their controls – to add another layer of controls on their controls – we should also because we auditors have to model good behavior! Monitoring can be an ongoing process. Or the audit organization can choose to perform monitoring annually. For both, a report is expected. 5.43 The audit organization should perform monitoring procedures that enable it to assess compliance with professional standards and quality control policies and procedures for GAGAS engagements. Individuals performing monitoring should have sufficient expertise and authority within the audit organization. 3.when relevant, a description of systemic, repetitive, or other deficiencies and of the actions taken to resolve those deficiencies. The scope of the annual monitoring of the quality control system sounds very much like a full-blown peer review! The monitor will touch on every aspect of the quality control system and bring up any weaknesses in the system to audit management. f.follow-up by appropriate audit organization personnel so that necessary modifications are promptly made to the quality control policies and procedures. g.audit organization personnel’s understanding of the organization’s quality control policies and procedures and implementation thereof. After reading all the roles and responsibilities of a supervisor, reviewer, and monitor, you might wonder how you can do audits without an army of auditors at your disposal! Someone on the team needs to fill the role of supervisor, reviewer, monitor, and inspector. And while there is a relationship between these roles, the roles are not interchangeable. For example, look at this quote from the Yellow Book. 5.53 Reviews of the work by engagement team members prior to the date of the report are not monitoring procedures. I think the GAO still has some work to do clarifying the meaning of these various quality control roles on an audit, but here is my stab at it: As audits are being conducted, they must be supervisedas described earlier in this chapter. Before the audit report is issued, someone must reviewthe audit documentation. At least annually, a monitorchecks that the quality control system is in place (this quality control system includes supervision and monitoring). And as a part of the monitoring activities, the monitor will inspecta few finished audit projects. What Does the Monitoring Report Say? Actions taken to resolve the deficiencies. c. identification of the deficiencies noted, an evaluation of their effect, and the basis for determining whether and what further action is necessary. Now let’s switch gears and become familiar with the external review of our quality control system that occurs every three years. Peer reviews often do trigger significant, positive change in an audit organization. For example, consider this story: The director of a prestigious audit team was notoriously hard to work with. I got a taste of his counterproductive behavior first hand when he heckled me and belittled his staff when I led a class on writing audit reports for his team. Not surprisingly, his team barely functioned due to the constant turmoil and fear he churned out. Because of the high turnover, they were unable to finish significant projects or keep good auditors on board. The team’s quality control system was in shambles. The peer reviewer discovered early in his review that this director was the cause of a slip in the quality of the audits, and he wrote as much in his peer review report. He recommended counseling and leadership training for the director, and the director took the recommendation to heart. After a year of counseling and leadership coaching, the director was a changed man. His staff became productive again and reported a much more pleasant work environment. I saw him speak at a conference a year or so later. Instead of wearing his usual intimidating dark suit and red power tie, he wore a soft pink button up and, with a tear in his eye, spoke of being honored that he was asked to share his experiences with the audience. I almost didn’t recognize him! So, for all of you stinkers out there, you’d better take your staff to lunch and atone for any evil acts before the peer reviewer shows up, or you, too, will end up wearing pastels and crying in public! The purpose of a peer review is to make sure that your quality control system is working. The purpose of a peer review is not to dig in to all of your engagements for the past three years and or judge whether your audit planning was on target! Peer reviews are not supposed to make you cry. That would be duplicating the work already done by the quality control system. 5.70 A peer review is designed to test significant risk areas where it is possible that engagements are not being conducted, reported on, or both in conformity with professional standards and applicable legal and regulatory requirements in all material respects. A peer review is not designed to test every engagement, compliance with every professional standard, or every detailed component of the audit organization’s system of quality control. One of the most important things that a peer reviewer verifies is that the annual monitoring of the quality control system is performed and that the problems raised by the monitor are acted upon and resolved (5.82 b). The peer reviewer will also interview audit staff and management to make sure they understand and are playing along with the quality control system. interviews with selected members of the audit organization’s personnel in various roles to assess their understanding of and compliance with relevant quality control policies and procedures. I led a peer review recently so let me give you an idea of the work involved in reviewing an organization with 100 or so auditors. We had a team of three reviewers (including me). We were at the client’s office for a full week but did a good amount of work before we had the entrance conference and a little work after the exit conference. I created an engagement letter. In it, we asked the client to fill out a self-assessment questionnaire. All three of us reviewed the results of the questionnaire and reviewed the policies and procedures regarding quality control before we got on site and compared both the questionnaire and the policies and procedures to a list of all must and should requirements in the Yellow Book. We discussed how we would divide the work and contacted the client to see if we could accomplish any tasks ahead of our visit. When we got on site, one of my team members performed and documented the interviews. Another of my team dug into the CPE records and independence documentation a week ahead of our visit and worked with the organization to resolve any discrepancies once on site. This same person examined a few working paper files on site. I reviewed prior monitoring and peer review reports before our site visit and reviewed a few working paper files on site. I met with the client to inform them of our progress and negotiated any issues. I drafted the peer review report and documented our process using a peer review checklist created by the Association of Local Government Auditors. Along the way, we consulted with each other and learned the client’s systems. We exited on Friday at 2 p.m. after a very, very busy week. I was very glad to have the Association of Local Government Auditor’s tools to rely on in performing the peer review. And the GAO appreciates these tools, too. So much so, that they have referred to them by name in the Yellow Book. The GAO has taken a new tack on peer reviews in the 2018 version of the Yellow Book. They are deferring to several peer review programs, including the ALGA program. Auditors who are part of this program are considered in compliance with the Yellow Book peer review standards. If the audit team is not a part of one of these programs, they must follow the Yellow Book peer review requirements laid out in sections 5.62–5.65. Most of the peer review requirements have been in place for many years, but in 2018 the GAO has added a few new requirements. Let’s talk about the approved peer review programs first. Then we will talk about the GAO requirements that audit teams must follow if they are not part of a program. As part of the discussion of GAO requirements, I will highlight the few new requirements. The GAO is acknowledging several peer review programs that are administered by professional organizations. 5.61 Audit organizations affiliated with one of the following recognized organizations should comply with the respective organization’s peer review requirements and the requirements listed throughout paragraphs 5.66 through 5.80. These programs provide peer review training, provide tools, and model reports that the peer reviewer can use, and manage a pool of available peer reviewers to staff a peer review. All organizations on this list have similarly robust programs. But many auditors are not affiliated with these organizations. This means they can, as I did, use the tools and attend the training, but not contribute to or draw from the pool. Or they can follow the Yellow Book rules for how to conduct a peer review that are outlined later in Chapter 5.
a detailed description of the findings, conclusions, and recommendations related to any deficiencies or significant deficiencies identified in the review. Also make sure that these requirements are followed. 5.86 The peer review team and the reviewed audit organization should incorporate their basic agreement on the peer review into a written agreement. The written agreement should be drafted by the peer review team, reviewed by the reviewed audit organization to ensure that it accurately describes the agreement between the parties, and signed by the authorized representatives of both the peer review team and the reviewed audit organization prior to the initiation of work under the agreement. The written agreement should state that the peer review will be conducted in accordance with GAGAS peer review requirements. 5.93 If the reviewed audit organization receives a report with a peer review rating of pass with deficiencies or fail, the reviewed audit organization should respond in writing to the deficiencies or significant deficiencies and related recommendations identified in the report. 5.94 With respect to each deficiency or significant deficiency in the report, the reviewed audit organization should describe in its letter of response the corrective actions already taken, target dates for planned corrective actions, or both. In light of all of that we know from this chapter about quality control and peer review, let’s look again at what can happen to a set of working papers. Thankfully, not all working papers will suffer this much review because some will not be selected during the monitoring procedures or the peer review. Both the monitor and the peer reviewer pick a sample of projects to evaluate. Wow. I’m exhausted just thinking about it. Those poor working papers must be frazzled! Does your team meet the 2018 Yellow Book Independence Standards? As I revise my self-study book, “The Yellow Book Interpreted,” I will be sharing chapters with you. In prior versions of the Yellow Book, the ethics, independence, and professional judgment standards were presented in different chapters. Now they are joined in one long chapter. These are some of the least specific standards in the Yellow Book as all require the application of professionalism, maturity, and judgment. And how do you regulate professionalism, maturity, and judgment? You can’t. You can only talk about them in generalities. We will cover the three standards in the order presented in Chapter 3 of the Yellow Book. First ethics, then independence, and lastly professional judgment. In order to understand the GAO’s perspective on ethics and independence, we need to talk about three themes of the Yellow Book that kick off the standards in the first few pages of the Yellow Book. These three themes – accountability, transparency, and service – put us in the right frame of mind when auditing in the government environment. What is accountability? I had heard the term tossed around the government so frequently that I never even thought about its meaning. Now I know that accountability does notmean that you got it right. It just means that you take ownership of it. I met a cowboy auditor in West Texas who said, “You might be right, or you might be wrong, but you’d better the hell document it.” That sums up accountability quite nicely. When things go bad, you are there to say, “Yes, that was me. I’m sorry.” When things go well, you can keep your job. Recently on TV news, I saw a high school coach who was responsible for the death of one of his teenage football players. And instead of being contrite, he said something like, “Everyone is forgetting that I suffered a loss, too, and that I will hold on to this for the rest of my life.” That is not exactly what the parents of that boy wanted to hear. He deflected accountability and tried to engender empathy for himself. I doubt that will serve him well in his community. 1.02 The concept of accountability for use of public resources and government authority is key to our nation’s governing processes. 1.05 Government auditing is essential in providing accountability to legislators, oversight bodies, those charged with governance, and the public. Auditsprovide an independent, objective, nonpartisan assessment of the stewardship, performance, or cost of government policies, programs, or operations, depending upon the type and scope of the engagement. Actions and information that are transparent and open for everyone’s inspection and review. 1.07 Audits performed in accordance with GAGAS provide information used for oversight, accountability, transparency, and improvements of government programs and operations. GAGAS contains requirements and guidance to assist auditors in objectively acquiring and evaluating sufficient, appropriate evidence and reporting the results. When auditors perform their work in this manner and comply with GAGAS in reporting the results, their work can lead to improved government management, better decision making and oversight, effective and efficient operations, and accountability and transparency for resources and results. The State of Texas government has put every single transaction online in real time. I can, with a few clicks of the mouse, see that the Texas Department of Transportation bought a van, how much the van was, who they bought it from, why they need it, and what color of funds (general revenue, special revenue, enterprise revenues) paid for it. They occasionally consider putting all state employee payroll data online – yes, names, pay grade, title, the whole bit. Why? Because citizens own the government, and we citizens have a right to know how our money is being used! Theoretically, if you do as President Obama frequently advised in his speeches and shine light in the dark places, those in hiding will be exposed and held accountable. 3.08 A distinguishing mark of an auditor is acceptance of responsibility to serve the public interest. This responsibility is critical when auditing in the government environment. GAGAS embodies the concept of accountability for public resources, which is fundamental to serving the public interest. We hold our clients to a higher standard of behavior than we do in the commercial sector. While it was OK for AIG to go on a lavish $500,000 spa junket before the US taxpayers bailed them out in 2008, it certainly was not OK after the bailout. Later, we will see that the GAO asks you to report even more bad behaviors than the AICPA does. If Mr. Hurst wants to put his jet-setting, never-worked-a-day-in–their-life kids on the payroll, more power to him. Auditors in the commercial sector do not have a responsibility to say anything about that. But in the government realm, we call that abuse, and we do have a professional, and I have to add, moral, responsibility to do something with that knowledge. We’ll discuss more about abuse later. When Johnson and Johnson found out that someone had tampered with one of their products, Tylenol, and that people were dying as a result, they immediately recalled the product. This cost Johnson and Johnson an estimated $100 million. They could have made a lot of other, less responsible and possibly less expensive choices. But because they had a mission statement that put the customer first and the shareholders second, it was obvious what they should do. In government, our first responsibility is to the public. Not to the person who hired us and is writing our checks. Not to the federal grantor. We are responsible for bringing anything to light that harms the kid in the housing development. Sometimes this will cost us. A city auditor told me that he sees a higher purpose in his work. It is his job to make sure that the monies collected by the city are turned back to support those who need services and who may not have a voice in the government. He works on the citizens’ behalf, and because of this higher purpose, doesn’t care whether he makes his auditees upset when he publishes his reports. 3.07 The public interest is defined as the collective well-being of the community of people and entities the auditors serve. Observing integrity, objectivity, and independence in discharging their professional responsibilities assists auditors in meeting the principle of serving the public interest and honoring the public trust. The principle of the public interest is fundamental to the responsibilities of auditors and critical in the government environment. In my business, I transfer in and out of two worlds – the government world and the commercial world – and indeed they are different. In the commercial world fortunes are made by doing what is not expressly prohibited. In the government world, action won’t be taken unless it is expressly permitted. Commercial entities are not interested in transparency. A friend of mine, an engineer, says that Apple is one of the most secretive organizations for which he has ever worked. At the corporate headquarters store, they sell a T-Shirt that says, “I visited the Apple Corporate Offices in Cupertino…and that is all I can say about it.” Apple doesn’t want their auditor shining light in their dark places. But government auditors must shine light in dark places to serve the children, the elderly, and the disabled. And taxpayers get very, very upset if even a tiny bit of their hard-earned tax dollars are squandered. Not long ago, I helped develop a training event for a government employee retirement system. Afterwards, to celebrate our success, the retirement system managers insisted that we dine at a first-rate steakhouse in Dallas – you know the type, where you pay $45 for an à la carte steak. We had wine and appetizers, and one guy ordered a $35 brandy. I was very uncomfortable. I thought that if any of their members walked in and recognized them as the folks in charge of their retirement funds, they would have a lot of explaining to do. The retirees don’t want their money going for high living! If you work for a corporation, go ahead and enjoy. Live it up! But in a conscientious government environment, I can’t even get a cup of coffee for free. Both the integrity and objectivity sections of the Yellow Book mention independence and freedom from political or ideological bias. When I started in public accounting, the managing partner made it very clear to me that I should not put any bumper stickers on my car indicating affiliation with any political party, university, or even a radio station! When talking to the client, I was not to express opinions on the events of the day or engage the clients in religious, social, or political discussions. I was to be personality-less! In this way, the client could never question whether I had a bias as I made my audit conclusions. He was, not so subtly, pointing out that what the firm sold was auditor integrity and objectivity. And if the client doubted either or those, our product – our conclusions and opinions – was useless. 3.09 Public confidence in government is maintained and strengthened by auditors performing their professional responsibilities with integrity. Integrity includes auditors conducting their work with an attitude that is objective, fact-based, nonpartisan, and nonideological with regard to audited entities and users of the auditors’ reports. Within the constraints of applicable confidentiality laws, rules, or policies, communications with the audited entity, those charged with governance, and the individuals contracting for or requesting the audit are expected to be honest, candid, and constructive. 3.10 Making decisions consistent with the public interest of the program or activity under audit is an important part of the principle of integrity. In discharging their professional responsibilities, auditors may encounter conflicting pressures from management of the audited entity, various levels of government, and other likely users. Auditors may also encounter pressures to inappropriately achieve personal or organizational gain. In resolving those conflicts and pressures, acting with integrity means that auditors place priority on their responsibilities to the public interest. 3.11 The credibility of auditing in the government sector is based on auditors’ objectivity in discharging their professional responsibilities. Objectivity includes independence of mind and appearance when providing audits, maintaining an attitude of impartiality, having intellectual honesty, and being free of conflicts of interest. Maintaining objectivity includes a continuing assessment of relationships with audited entities and other stakeholders in the context of the auditors’ responsibility to the public. The concepts of objectivity and independence are closely related. Independence impairments impact objectivity. 3.12 Government information, resources, and positions are to be used for official purposes and not inappropriately for the auditor’s personal gain or in a manner contrary to law or detrimental to the legitimate interests of the audited entity or the audit organization. This concept includes the proper handling of sensitive or classified information or resources. 3.13 In the government environment, the public’s right to the transparency of government information has to be balanced with the proper use of that information. In addition, many government programs are subject to laws and regulations dealing with the disclosure of information. To accomplish this balance, exercising discretion in the use of information acquired in the course of auditors’ duties is an important part in achieving this goal. Improperly disclosing any such information to third parties is not an acceptable practice. 3.14 Accountability to the public for the proper use and prudent management of government resources is an essential part of auditors’ responsibilities. Protecting and conserving government resources and using them appropriately for authorized activities is an important element in the public’s expectations for auditors. 3.15 Misusing the position of an auditor for financial gain or other benefits violates an auditor’s fundamental responsibilities. An auditor’s credibility can be damaged by actions that could be perceived by an objective third party with knowledge of the relevant information as improperly benefiting an auditor’s personal financial interests or those of an immediate or close family member; a general partner; an organization for which the auditor serves as an officer, director, trustee, or employee; or an organization with which the auditor is negotiating concerning future employment. Any behavior that could cause someone to question your professionalism can detract from your credibility. And, credibility helps sell audit recommendations. 3.16 High expectations for the auditing profession include compliance with all relevant legal, regulatory, and professional obligations and avoidance of any conduct that might bring discredit to auditors’ work, including actions that would cause an objective third party with knowledge of the relevant information to conclude that the auditors’ work was professionally deficient. Professional behavior includes auditors putting forth an honest effort in performanceof their duties and professional services in accordance with the relevant technical and professional standards. Consider the following true scenario (with a few small changes to protect identities): You are the internal audit director of a large city. You recently hired a new auditor fresh out of college and have been grooming him for a career conducting governmental audits. Recently, you assigned him to conduct a performance audit of your city’s police department. Everything has been going well until last week when you saw a picture of him in the local newspaper at the city’s Mardi Gras celebration. He was pictured on the very top of a street light without his shirt wearing dozens of bead necklaces. The police stood below and appeared to be yelling at him to come down. You show him the picture and ask him what he thought he was doing. He becomes immediately defensive and tells you that what he does on his own time is none of your business. He had some college buddies in town and they were celebrating an upcoming wedding. The professional behavior standard says nothing about distinguishing your behavior between your work life and your personal life. But does this new auditor’s personal behavior compromise his credibility with the police force? Yes, indeed! If he doesn’t respect the law on his personal time, he can’t expect the police department to respect his audit during his professional time. To maintain your shop’s professional image, you will probably have to remove this auditor from the engagement and replace him with another auditor. As auditors, we sell our credible, objective, high integrity opinions andconclusions about an audit subject. 3.22 Auditors and audit organizations maintain independence so that their opinions, findings, conclusions, judgments, and recommendations will be impartial and viewed as impartial by reasonable and informed third parties. 3.19 Auditors and audit organizations should avoid situations that could lead reasonable and informed third parties to conclude that the auditors and audit organizations are not independent and thus are not capable of exercising objective and impartial judgment on all issues associated with conducting the engagement and reporting on the work. Did you notice how many times the words independence and objectivity showed up in the ethics requirements? Independenceis one of the most complicated and granular standards in the Yellow Book clocking, in at almost 30 pages of text! I am going to summarize the major requirements of the Yellow Book regarding independence. But as you know, summaries leave out details that might be important to you. So please at least scan Chapter 3 to make sure you have applied the independence standards to your specific situation. The GAO, a legislative auditor, is in a rare situation; they are truly independent. They can say whatever needs to be said and not suffer any consequences because they are funded by and report directly to Congress, not the federal agencies that they audit. The GAO did not set out to have anythingto do with internal or external auditors. They wrote the Yellow Book for themselves. But over the decades, through a series of laws and regulations, they became responsible for groups of folks for whom they seem to have little empathy because both internal auditors and external auditors have inherent independence challenges. Internal auditors are employees of the entity they audit and attend the same holiday parties as their auditees. External auditors are contractors who are paid by the auditee, and if they don’t make the auditee happy, they don’t get to keep the gig during the next audit cycle. For the last few decades, the GAO has been working with mixed success to clarify and strengthen the auditor independence standards so that all government auditors are working with the highest level of objectivity and integrity. Along the way, they decided that going their own way with the standards confused CPAs in public practice. So, they adopted the AICPA rules for independence and added a few significant modifications. The AICPA invented something called the “conceptual framework” for evaluating auditor independence, which I will explain shortly. Let’s go through each step. The AICPA uses a decision process for evaluating independence that they call the “conceptual framework.” Typical of the AICPA, they make something very straightforward sound complex and involved. You know, something only a well-paid, CPA-typeprofessional can implement! 3.apply safeguards as necessary to eliminate the threats or reduce them to an acceptable level. Let’s think through the conceptual framework in more personal terms before we take on an audit example. Let’s talk about the decision process you go through when dating! In dating terms, identifying threats means spending time with your intended to find out more about them and identify potential relationship killers or aspects of their personality, habits, or baggage that could cause you future misery. Maybe he is way too close to his mother, or his ex-wife is extremely hard to handle, or his football/golf/hunting/fishing hobby is likely to leave you on your own most weekends. In dating terms, this might mean breaking up, finding a new supportive social structure, agreeing to limits on his hobby, or moving to another country without phone or internet service to escape his mother. Not exactly rocket science, huh? Conceptual framework… PLEASE! Let’s start by looking at the list of threats: conceptual framework step #1. 1.Self-interest threat: The threat that a financial or other interest will inappropriately influence an auditor’s judgment or behavior. 2.Self-review threat: The threat that an auditor or audit organization that has provided nonauditservices will not appropriately evaluate the results of previous judgments made or services provided as part of the nonauditservices when forming a judgment significant to a GAGAS engagement. 3.Bias threat: The threat that an auditor will, as a result of political, ideological, social, or other convictions, take a position that is not objective. 4.Familiarity threat: The threat that aspects of a relationship with management or personnel of an audited entity, such as a close or long relationship, or that of an immediate or close family member, will lead an auditor to take a position that is not objective. 5.Undue influence threat: The threat that influences or pressures from sources external to the audit organization will affect an auditor’s ability to make objective judgments. 6.Management participation threat: The threat that results from an auditor’s taking on the role of management or otherwise performing management functions on behalf of the audited entity, which will lead an auditor to take a position that is not objective. 7.Structural threat: The threat that an audit organization’s placement within a government entity, in combination with the structure of the government entity being audited, will affect the audit organization’s ability to perform work and report results with integrity. a. An audit organization having undue dependence on income from a particular audited entity. b. A member of the audit team entering into employment negotiations with an audited entity. c. An audit organization discovering a significant error when evaluating the results of a previous professional service provided by the audit organization. d. A member of the audit team having a direct financial interest in the audited entity. However, this would not preclude auditors from auditing pension plans that they participate in if (1) the auditors have no control over the investment strategy, benefits, or other management issues associated with the pension plan and (2) the auditors belong to such pension plan as part of their employment with the audit organization or prior employment with the audited entity, provided that the plan is normally offered to all employees in equivalent employment positions. 1.An audit organization issuing a report on the effectiveness of the operation of financial or performance management systems after designing or implementing the systems. 2.An audit organization having prepared the original data used to generate records that are the subject matter of the engagement. 3.An audit organization providing a service for an audited entity that directly affects the subject matter information of the engagement. 4.A member of the engagement team being, or havingrecently been, employed by the audited entity in a position to exert significant influence over the subject matter of the engagement. 1.A member of the engagement team having preconceptions about the objectives of a program under audit that arestrong enough to affect the auditor’s objectivity. 2.A member of the engagement team having biases associated with political, ideological, or social convictions that result from membership or employment in, or loyalty to, a particular type of policy, group, entity, or level of government that could affect the auditor’s objectivity. a. A member of the engagement team having a close or immediate family member who is a principal or senior manager of the audited entity. b. A member of the engagement team having a close or immediate family member who is an employee of the audited entity and is in a position to exert significant influence over the subject matter of the engagement. c. A principal or employee of the audited entity having recently served on the engagement team in a position to exert significant influence over the subject matter of the engagement. d. An auditor accepting gifts or preferential treatment from an audited entity, unless the value is trivial or inconsequential. e. Senior engagement personnel having a long association with the audited entity. a. External interference or influence that could improperly limit or modify the scope of an engagement or threaten to do so, including exerting pressure to inappropriately reduce the extent of work performed in order to reduce costs or fees. b. External interference with the selection or application of engagement procedures or in the selection of transactions to be examined. c. Unreasonable restrictions on the time allowed to complete an engagement or issue the report. d. External interference over assignment, appointment, compensation, and promotion. e. Restrictions on funds or other resources provided to the audit organization that adversely affect the audit organization’s ability to carry out its responsibilities. f. Authority to overrule or to inappropriately influence the auditors’ judgment as to the appropriate content of the report. g. Threat of replacing the auditor or the audit organization based on a disagreement with the contents of an audit report, the auditors’ conclusions, or the application of an accounting principle or other criteria. h. Influences that jeopardize the auditors’ continued employment for reasons other than incompetence, misconduct, or the audited entity’s need for GAGAS engagements. 1.A member of the engagement team being, or having recently been, a principal or senior manager of the audited entity. 2.An auditor serving as a voting member of an entity’s management committee or board of directors, making policy decisions that affect future direction and operation of an entity’s programs, supervising entity employees, developing or approving programmaticpolicy, authorizing an entity’s transactions, or maintaining custody of an entity’s assets. 3.An auditor or audit organization recommending a single individual for a specific position that is key to the audited entity or program under audit, or otherwise ranking or influencing management’s selection of the candidate. 4.An auditor preparing management’s corrective action plan to deal with deficiencies detected in the engagement. 1.For both external and internal audit organizations, structural placement of the audit function within the reporting line of the areas under audit. 2.For internal audit organizations, administrativedirection from the audited entity’s management. By the way, performing a non-audit service in addition to your audit is automatically a threat. 3.46 When evaluating threats to independence, an acceptable level is a level at which a reasonable and informed third party would likely conclude that the audit organization or auditor is independent. The concept of a reasonable and informed third party is a test that involves an evaluation by a hypothetical person. Such a person possesses skills, knowledge, and experience to objectively evaluate the appropriateness of the auditor’s judgments and conclusions. This evaluation entails weighing all the relevant facts and circumstances, including any safeguards applied, that the auditor knows, or could reasonably be expected to know, at the time that the evaluation is made. 3.49 Safeguards are actions or other measures, individually or in combination, that auditors and audit organizations take that effectively eliminate threats to independence or reduce them to an acceptable level. Safeguards vary depending on the facts and circumstances. d. removing an auditor from an engagement team when that auditor’s financial or other interests or relationships pose a threat to independence. d. having another audit organization re-perform the nonauditservice to the extent necessary to enable that other audit organization to take responsibility for the service. And, typical of a Yellow Book audit standard, you don’t get to just go through the process in your head. You get to document your reasoning process, too. Yes, you will need another memo! After applying the conceptual framework, you might be just fine. If you have a threat, you put a safeguard in place and go on your merry way. But if the nature of your threat is caused because you are taking on a non-audit service, a handful of additional requirements apply. What Is a Nonaudit Service? A non-audit service is almost anything that you do for the auditee that isn’t an audit. Examples include helping them document internal controls, monitoring transactions on their behalf, or creating financial statements. Non-audit services are called “consulting services” by other standards. For instance, the IIA divides their standards up into two main pieces, assurance standards andconsulting standards. And the IIA encourages internal auditors to perform consulting engagements in order to add value to their organization. The GAO wishes you would just stick with auditing and let someone else provide consulting services because they believe that consulting services have an impact on your auditor independence. To make auditors think twice about taking on consulting services (non-audit services), the GAO requires that the client has skills, knowledge, and experience (SKE) and that the client takes responsibility for the product of the non-audit service in writing. The GAO wants to make sure that the client is sophisticated enough to tell if the auditor made a mistake with the product of their consulting service. Pay close attention to a new sentence at the bottom of 3.79 (bolding added). 3.73 Before auditors agree to provide nonauditservices to an audited entity that the audited entity’s management requested and that could create a threat to independence, either by themselves or in aggregate with other nonauditservices provided, with respect to any GAGAS engagement they conduct, auditors should determine that the audited entity has designated an individual who possesses suitable skill, knowledge, or experience and that the individual understands the services to be provided sufficiently to oversee them. 3.74 Auditors should document consideration of management’s ability to effectively oversee nonauditservices to be provided. 3.75 In cases where the audited entity is unable or unwilling to assume these responsibilities (for example, the audited entity does not have an individual with suitable skill, knowledge, or experience to oversee the nonauditservices provided, or is unwilling to perform such functions because of lack of time or desire), auditors should conclude that the provision of these services is an impairment to independence. 3.79 A critical component of determining whether a threat to independence exists is consideration of management’s ability to effectively oversee the nonauditservice to be provided. Although the responsible individual in management is required to have sufficient expertise to oversee the nonauditservices, management is not required to possess the expertise to perform or re-perform the services. However, indicators of management’s ability to effectively oversee the nonauditservice include management’s ability to determine the reasonableness of the results of the nonauditservices provided and to recognize a material error, omission, or misstatement in the results of the nonauditservices provided. Once you have documented your application of the conceptual framework, applied safeguards, and decided and documented that the client has SKE, you now create a letter of agreement with the client stating that the client is responsible for the results of the non-audit service. 4.accepts responsibility for the results of the services. Notice three levels of documentation: the application of the conceptual framework, the proof of SKE, and the letter assigning responsibility for the subject matter to the client. The GAO knows that auditors are still performing non-audit services, regardless of the GAO’s disdain for them and their repeated warnings. And they also know of a handful of non-audit services that are performed pretty regularly. I want to mention two of thembecause I see these non-audit services being performed quite often myself. One is continuous monitoring and the other is financial statement preparation. Continuous monitoring is always a hot topic at IIA conferences. Continuous monitoring technology allows managers to watch transactions and controls in real time to identify outliers and correct errors or even fraud promptly. But, in a list of non-auditservices that impair auditor independence, the GAO specifically prohibits the auditor from performing internal control monitoring on behalf of the client. 3.97 Auditors should conclude that providing or supervising ongoing monitoring procedures over an entity’s system of internal control impairs independence because the management participation threat created is so significant that no safeguards could reduce the threat to an acceptable level. The GAO also specifically addresses this non-audit service, and although it does not firmly prohibit auditors from both creating the subject matter of the audit (the financial statements) and opiningon the same subject matter, they do make the auditor think and rethink his or her decision to proceed. 3.preparing or making changes to source documents without management approval. 3.88 Auditors should conclude that preparing financial statements in their entirety from a client-provided trial balance or underlying accounting records creates significant threats to auditors’ independence, and should document the threats and safeguards applied to eliminate and reduce threats to an acceptable level in accordance with paragraph 3.33 or decline to provide the services. 4. preparing account reconciliations that identify reconciling items for the audited entity management’s evaluation. Barrier # 1: The auditor must identify the preparation of the financials as a threat and apply appropriate safeguards. Barrier # 2. The auditor must document their rationale that the threat has been mitigated through safeguards or decline the engagement. Barrier #4. The client must take responsibilities for the financials in writing. That’s enough to keep me away from preparing and auditing the financial statements. How about you? 3.110 Professional judgment includes exercising reasonable care and professional skepticism. 3.110 Attributes of professional skepticism include a questioning mind, awareness of conditions that may indicate possible misstatement owing to error or fraud, and a critical assessment of evidence. Professional skepticism includes being alert to, for example, evidence that contradicts other evidence obtained or information that brings into question the reliability of documents or responses to inquiries to be used as evidence. Further, it includes a mindset in which auditors assume that management is neither dishonest nor of unquestioned honesty. Auditors may accept records and documents as genuine unless they have reason to believe the contrary. Auditors may consider documenting procedures undertaken to support their application of professional skepticism in highly judgmental or subjective areas under audit. Maybe that explanation will keep both my kids and us auditors out of trouble. 3.111 Using the auditor’s professional knowledge, skills, and abilities, in good faith and with integrity, to diligently gather information andobjectivelyevaluate the sufficiency and appropriateness of evidence is a critical component of GAGAS engagements. Professional judgment and competence are interrelated because judgments made depend upon the auditor’s competence, as discussed in chapter 4. Why do they call it the “Yellow Book”? Legend has it that the original title of the Yellow Book was the “Golden Rule of Government Auditing,” and the cover was supposed to be gold. But when it came back from the printer, the cover was yellow. Whoops! Bye-bye catchy title, hello kitschy title – the Yellow Book. If you ever run across a hard copy, the cover is indeed a sunny yellow. Whether the inside is full of sun will be yours to judge as you read this text! Why Does the Yellow Book Exist? The Government Accountability Office (GAO) is the legislative auditor for the federal government. They first published the Yellow Book back in the 1970s as a guide for their own auditors. This is why the Yellow Book exists because the GAO wanted to set an audit standard for itself. But in 1984, Congress passed a law called the Single Audit Act that made the Yellow Book relevant to a different set of auditors, CPAs in public practice. The Single Audit Act addresses audits of federal grants and requires that the audit be conducted in accordance with Government Auditing Standards. I don’t think the GAO intended to be involved in setting standards for CPAs in public practice. But through the passage of the Act, they were burdened with that responsibility. Subsequent to the Act, several state legislatures passed laws requiring the use of the Yellow Book for audits of governmental entities. 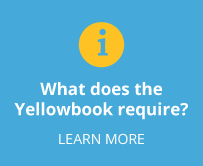 Who might use the Yellow Book on an Audit? The Yellow Book has to be called into play by someone else. 1.08 Laws, regulations, contracts, grant agreements, and policies frequently require that engagements be conducted in accordance with GAGAS. In addition, many auditors and audit organizations voluntarily choose to conduct their work in accordance with GAGAS. 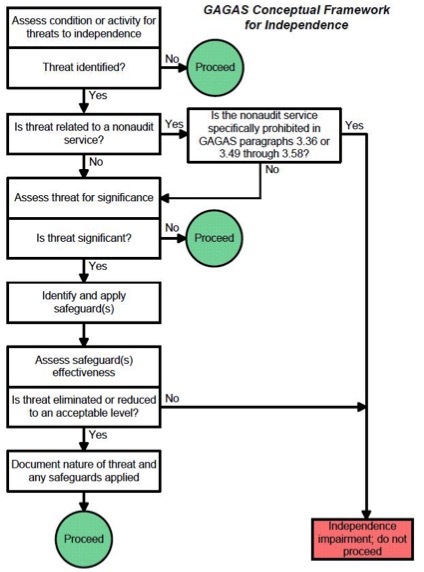 The requirements and guidance in GAGAS in totality apply to engagements pertaining to government entities, programs, activities, and functions, and to government assistance administered by contractors, nonprofit entities, and other nongovernmental entities when the use of GAGAS is required or voluntarily adopted. The Yellow Book may be called forth by law or policy. The Single Audit Act is just one of many laws that call the Yellow Book into play. For instance, the State of Texas passed a law that all audits conducted by internal audit shops in the state will be conducted using government auditing standards. If you conduct an audit of a city, the city may have a policy requiring that all audits be conducted in accordance with government auditing standards. Or, the request for proposal for the audit may request that the audit be conducted in accordance with government auditing standards. But it wouldn’t be surprising if the city does not have a policy or a law that mentions the Yellow Book. In this case, the internal auditor for the city would likely follow Institute of Internal Auditors (IIA) Standards and the external auditor would follow American Institute of Certified Public Accountants (AICPA) auditing standards. The bottom line is that just because you audit a government does not mean you have to use the Yellow Book. If you cannot find any law or policy requiring it, you do not have to follow it. 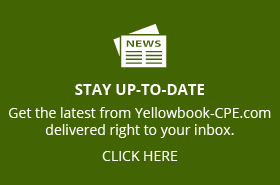 The Yellow Book is not like the AICPA’s audit standards, which, just because they exist, must be followed when expressing an opinion on the financial statements. For instance, let’s say you are engaged to express an opinion on the financial statements of a small town in Georgia that does not receive any federal funds. Are you required to follow the Yellow Book on this engagement? To figure this out, you need to do more research. You need to determine whether the state of Georgia has a law or regulation requiring the use of GAGAS on audits of towns and cities in the state. You must also find out whether the town has a rule or regulation in its city charter that requires the use of GAGAS. The request for proposal may include a request that the audit be conducted in accordance with Yellow Book. You need to look at all these rules, regulations, and policies to find the answer. You don’t necessarily have to use the Yellow Book when working as an internal auditor of a government or as a monitor of governmental funds.Obviously, if you work for the federal government and conduct an audit of federal funds, you probably use the Yellow Book in your work because the Inspector General Act or the CFO Act requires it. But if you are a county auditor, you probably are not required to use it to guide your work. Here is an example. Many state agencies have set up monitoring teams to ensure that federal and state pass-through funds are being spent properly, and they usually look at a finite set of compliance requirements. Nowhere do state regulations or laws require that the state agencies follow the Yellow Book. And, the agencies do not conduct or contribute to the Single Audit of the sub-recipients. Therefore, these monitoring teams do not conduct their work to comply with the Yellow Book, even though they audit governmental funds of governmental entities. The Inspector General Act of 1978, as amended, 5 U.S.C. App. requires that the statutorily appointed federal inspectors general comply with GAGAS for audits of federal establishments, organizations, programs, activities, and functions. The act further states that the inspectors general shall take appropriate steps to assure that any work performed by nonfederal auditors complies with GAGAS. The Chief Financial Officers Act of 1990 (Public Law 101-576), as expanded by the Government Management Reform Act of 1994 (Public Law 103-356), requires that GAGAS be followed in audits of executive branch departments’ and agencies’ financial statements. The Accountability of Tax Dollars Act of 2002 (Public Law 107-289) generally extends this requirement to most executive agencies not subject to the Chief Financial Officers Act unless they are exempted for a given year by the Office of Management and Budget (OMB). The Single Audit Act Amendments of 1996 (Public Law 104-156) require that GAGAS be followed in audits of state and local governments and nonprofit entities that receive federal awards. OMB Circular No. A-133, Audits of States, Local Governments, and Non- Profit Organizations, which provides the government wide guidelines and policies on performing audits to comply with the Single Audit Act, also requires the use of GAGAS. 1.10 Other laws, regulations, or authoritative sources may require the use of GAGAS. For example, auditors at the state and local levels of government may be required by state and local laws and regulations to follow GAGAS. Also, auditors may be required by the terms of an agreement or contract to follow GAGAS. Auditors may also be required to follow GAGAS by federal audit guidelines pertaining to program requirements, such as those issued for Housing and Urban Development programs and Student Financial Aid programs. Being alert to such other laws, regulations, or authoritative sources may assist auditors in performing their work in accordance with the required standards. 1.11 Even if not required to do so, auditors may find it useful to follow GAGAS in performing audits of federal, state, and local government programs as well as audits of government awards administered by contractors, nonprofit entities, and other nongovernment entities. Many audit organizations not formally required to do so, both in the United States of America and in other countries, voluntarily follow GAGAS. The Yellow Book covers several different categories of engagements: financial audits, attestation engagements, reviews of financial statements, and performance audits. If you conduct a financial audit, you must also follow the AICPA audit standards. 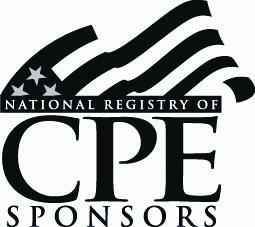 If you conduct an attestation engagement, you must also follow the AICPA attestation standards. If you conduct a review of the financial statements, you must follow the AICPA’s review standards. However, if you conduct a performance audit, you don’t have to follow the AICPA standards or any other standards for that matter! The Yellow Book states, in the sections dealing with financial audits and attestation engagements, that the AICPA standards are to be applied. Then the Yellow Book adds a few additional requirements of its own. For example, the AICPA does not require that the findings contain the five distinct elements of a persuasive argument, but the Yellow Book does. Periodically, the GAO revises the Yellow Book. When the GAO revises, they seek to match the language in the Yellow Book to the language in the AICPA standards. This is true even in the performance standards because the GAO wants the Yellow Book to use consistent terms and concepts throughout. Why do I mention this? If you are a performance auditor, you can’t entirely ignore the AICPA because when the AICPA moves and updates, the GAO matches their move and updates the financial AND performance audit chapters accordingly. If you are one of the lucky souls who conduct Single Audits, you must pay attention to several layers of standards. In addition to requiring that its instruction be followed, Single Audit requirements demand that the audit be conducted in accordance with government auditing standards. Upon opening the Yellow Book, you discover that a Single Audit qualifies as a financial audit. The financial audit chapters inside the Yellow Book then say that you must also follow the AICPA audit standards. More often than not, if you audit a federal program, you must look at other requirements generated by the federal grantors that exceed the Single Audit requirements in the Uniform Guidance. For instance, in auditing HUD programs, you must follow the HUD audit guide as well as the Single Audit requirements (and hence the Yellow Book and the AICPA standards). Instead of three layers, you must be apply four layers of audit requirements. Does anybody want out of governmental auditing yet? The focus of this manual is to cover onlythe government auditing standards, the Yellow Book. The manual will not delve into the AICPA standards, the IIA standards, or the Single Audit requirements in detail, although I may refer to them from time to time. The Yellow Book provides plenty of fodder for discussion on its own. One key to understanding the Yellow Book standards is to get comfortable with the way they are organized. The standards are conveniently organized by introductory material and general standards as well as financial, attestation, and performance standards. CHAPTER 6: Standards for Financial Audits: This chapter is applicable to financial audits only and discusses fieldwork standards, including documentation and client communications during planning. This chapter also discusses reporting standards, including the need to garner client responses to findings. This chapter builds on top of AICPA audit standards. CHAPTER 7: Standards for Attestation Engagements and Reviews of Financial Statements. This chapter is applicable to attestation engagements and reviews of financial statements only and is very redundant of financial auditing standards. This chapter builds on the AICPA’s Statements on Standards for Attestation Engagements (SSAEs) and the Statement on Standards for Accounting and Review Services (SSARS). CHAPTER 8: Fieldwork Standards for Performance Audits. This chapter is applicable to performance audits only and does not layer on top of any other standards. CHAPTER 9: Reporting Standards for Performance Audits. This chapter is applicable to performance audits only and does not layer on top of any other standards. Here is the short response that I sent to the GAO on the 2017 exposure draft of GAGAS. The deadline for comments is July 6. 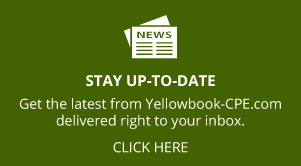 Please send your comments to YellowBookComments@gao.gov. Thank you for giving the audit community a chance to comment. I am in the relatively unique position of having the privilege to work with teams using every chapter of the Yellow Book. I work with CPA firms who apply the financial audit standards in the conduct of the Single Audit, internal audit shops and monitors in government who follow the performance audit standards, and legislative auditors who apply both financial and performance standards. I also work with shops that don’t want to hear anything about the Yellow Book at all (!) and instead follow only IIA or AICPA standards. Please require auditors to include a more direct statement regarding the auditor’s responsibilities for all five reportable conditions in the audit report as well as the auditor’s results or conclusions regarding those responsibilities. In the proposed revision, an auditor is responsible for five reportable conditions – fraud, internal control weaknesses, non-compliance, waste, and abuse – but per the reporting standards the auditor need only describe their responsibilities regarding two of these conditions – internal control and compliance – to the reader of the audit report. The reporting requirements have not evolved along with the audit standards to include statements regarding fraud, waste and abuse. The AICPA’s canned audit reports regarding internal controls and compliance are opaque and user-unfriendly. I know that you do not have the power to revise these letters, but I also know that you can influence the content of the AICPA’s letters and encourage clarity and transparency in all auditors’ reports if you decide to alter the required disclosures. Please revive the ‘report quality elements’ listed in the 2011 version of the Yellow Book at A7.02. I use the report quality elements quite a bit in my teaching – especially the guidance reminding auditors about timeliness and conciseness. Would you please define the term ‘performance aspects’? Section 8.08 mentions ‘performance aspects’ but does not define the term. The International Standards for Supreme Audit Organizations defines the term ‘performance aspect”, but most auditors I work with are unaware of those standards. It would be very helpful if you would go on to remind auditors that the terms effective, efficient and economical are very general and vague and that the auditor would benefit from using a more specific performance aspect in their objective – such as timeliness or accuracy. I have witnessed countless audit teams suffering from scope creep and messy audit reports when they include the words efficient and effective in their audit objectives. Please simplify and shorten the peer review requirements by including only the minimum requirements at the “Requirements for Audit Organizations Not Affiliated with Recognized Organizations” in paragraphs 5.80 through 5.113. By mentioning specific organization’s peer review programs in section 5.64, you are creating more work for yourself and the audit community because now you will need to approve these organization’s approaches each time you revise the Yellow Book. You will also have to screen other organization’s systems before inclusion in the Yellow Book. This can easily become political and bureaucratic and can be completely avoided by mentioning the minimum requirements only. 6.20 Auditors should consider potential internal control deficiencies in their evaluation of identified findings when developing the cause element of the identified findings when significant to the audit objectives. Maybe just say – Auditors should consider whether an internal control deficiency is the cause for identified findings. Thank you again for the chance to comment, and thank you for working to make the Yellow Book the most comprehensive and clear audit standard in existence today.